Next up in our series of interviews is the talented textiles designer behind Bunny Bosworths - Natalie Bosworth. 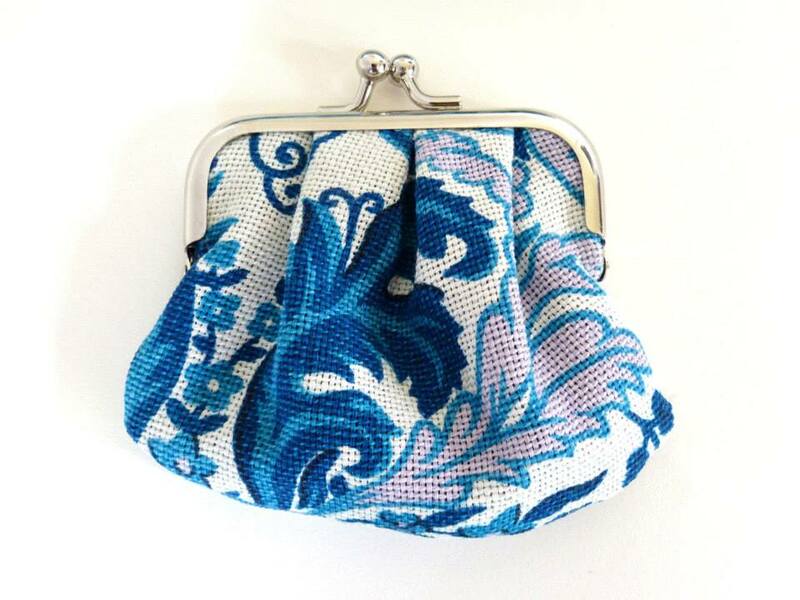 Natalie's beautifully finished textile products have become a staple of the Liverpool craft scene, and the quality of her workmanship is evident as soon as you pick up her pretty purses or luxurious sleep masks. Firstly can you tell me a bit about what you do and what you make? 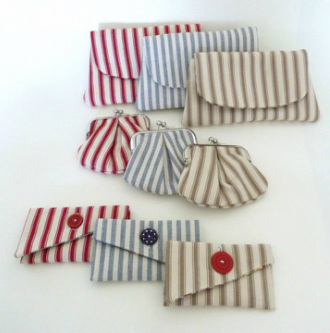 I am a designer-maker, working primarily with textiles to create jewellery, bags, purses, and decorations. I also work in theatre as a wardrobe mistress/costume supervisor, as a dressmaker and I teach craft workshops too! What do you have for sale in the Arts Hub? Mainly I'm selling my bags and purses in a few different styles and fabrics, the snap frame purses are very popular at fairs, they start at £7.50, and also my sleep masks for £10, perfect for taking on flights this summer! How are you involved in the Arts Hub? I only joined Arts Hub a couple of weeks ago, but I attended my first General Meeting the same day and got to meet some of the other makers. I'm looking forward to getting involved with the exhibitions in future and I'll be working in the shop on a Wednesday afternoon. I've been making and selling work for about four years, I started out with a shop on Etsy and then took part in my first fair a year later and have been doing them regularly since then. It started out as something to keep me creative while I was flitting between 'day jobs' and the increasingly scarce theatre work but it's become my main focus now. I still love costume work, but I also love knowing that once I've made something it will be kept and used for years, rather than ending up in a skip after the last performance! What made you start working as an artist/designer/crafter? Growing up my sisters and I were always making things. We used to watch The House of Elliott on TV and then make our own dresses out of paper and plastic bags, have fashion shows and write magazines with our friends. My mum was always sewing or knitting and I was always having a go at different crafts. I took textiles and art at A Level then went on to an Art Foundation. It was there that I decided to study theatre design and my tutor told me about LIPA. I got to do a little bit of everything while I was there; set design, prop making, puppetry, scenic art, installations, but costume was always my focus. What's your proudest crafting moment so far? The first time I saw someone wearing and loving something I had made was really exciting, it still is! Where, when and how do you work? I have a room to myself in my flat where I have my machines, fabrics and all my books, it's great to have the whole space to myself, but it's the only room in the flat that doesn't get the sun, so if I organise my work well enough I can make sure I have hand sewing or computer work to do and I'll take it out onto the balcony when it's sunny. I try to keep 9-5 type hours (more likely 12-8 in reality), but I've realised my work patterns tend to be a bit more like binge working, I'll potter about all week achieving not much then get everything done at once, usually on a Friday night. I think this has always been the case, even at school, so old habits die hard! The radio is constantly on, usually 6 Music or Radio 4, but failing that it'll be Kate Bush. Which artist or designer is your biggest inspiration? I love fashion and costume history, and get a lot of inspiration from details on historic clothes and textiles. In fashion I think my biggest inspiration is Biba, I love the way everything worked together - from the design of the clothes, to the immersive theatricality of the shops, to the graphics and illustrations, and that it lasted so short a time but has such a huge legacy. In contemporary design I like Louise Gardiner's incredible free machine embroideries, and printmaker Angie Lewin. My biggest inspiration is always the textiles though, I'm obsessed with Liberty Art Fabrics, and use them a lot in my work, as well as British heritage brands like Harris Tweed and textile designers such as Celia Birtwell and Lucienne Day. What's your favourite item for sale in the Arts Hub? I love Witty Hearts map prints and the gorgeous wrapping paper by Hana Awwad of Chocolate Envelope. My two cats make me very happy, unless they're sat on my work or poking me in the face because they want feeding. I recently moved back to the Lark Lane area after living in Crosby for a couple of years, and I'm still really enjoying everything there is to see round here, like the independent shops and cafes, and going for a walk in Sefton and Princes Parks, or at the Festival Gardens. The charity shops are really good round here too, I love hunting out treasures amongst all the tat! Keep making away! 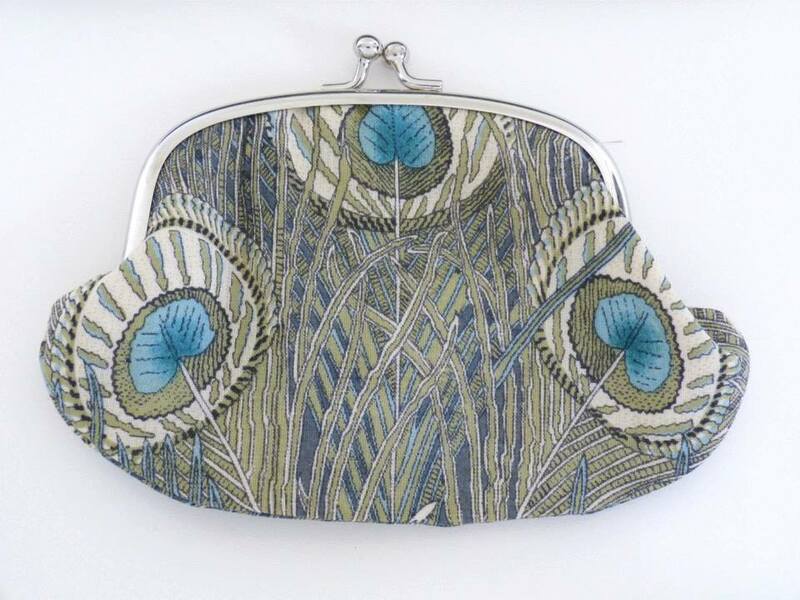 I've got plans for a new collection of Liberty print bags, purses and jewellery, which I'll be taking out to craft fairs and bringing into the shop, and hopefully get my work in some more shops. I'm also developing some new craft classes so I can share my skills with other people - and is it too early to say I'm planning my Christmas designs? I'd love to be working on my designs full time, maybe collaborating with other designers and shops and still teaching crafts and dressmaking. The bookworm in me would like to go back to university at some point and complete an MA in design history or textiles so perhaps I can slot that in too! So, if you are after a treat for yourself or a gift for someone special, look no further than Bunny Bosworth's range of purses and sleep masks, all available in the shop from just £7.50. 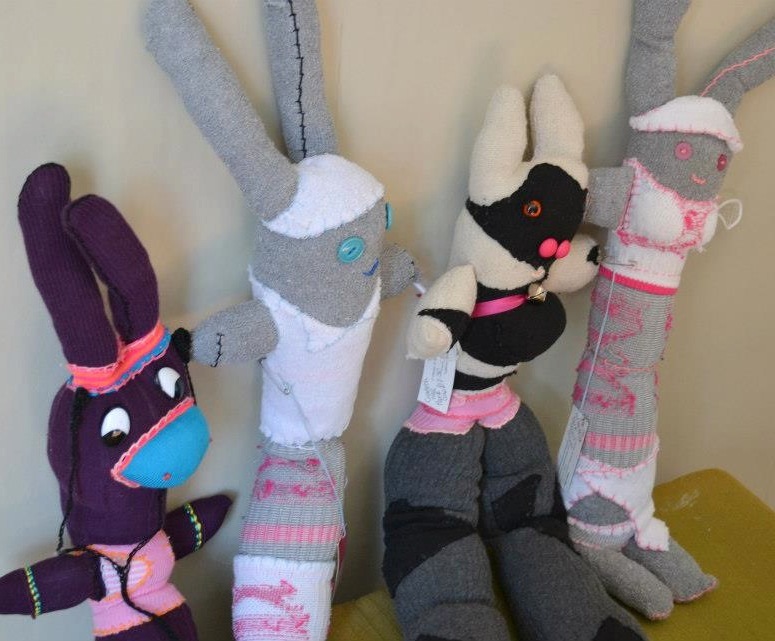 The next in our series "Meet the Maker" features local feltmaker Nicola Stewart of Feltipedia. Nic's innovative approach to a traditional craft is refreshing, and she is always happy to answer questions and demonstrate her techniques. 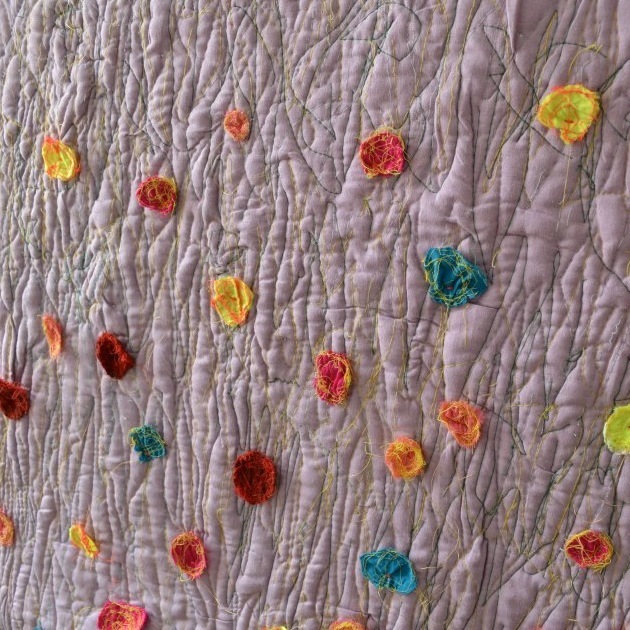 Her felt products are beautifully made, imaginative and distinctive. 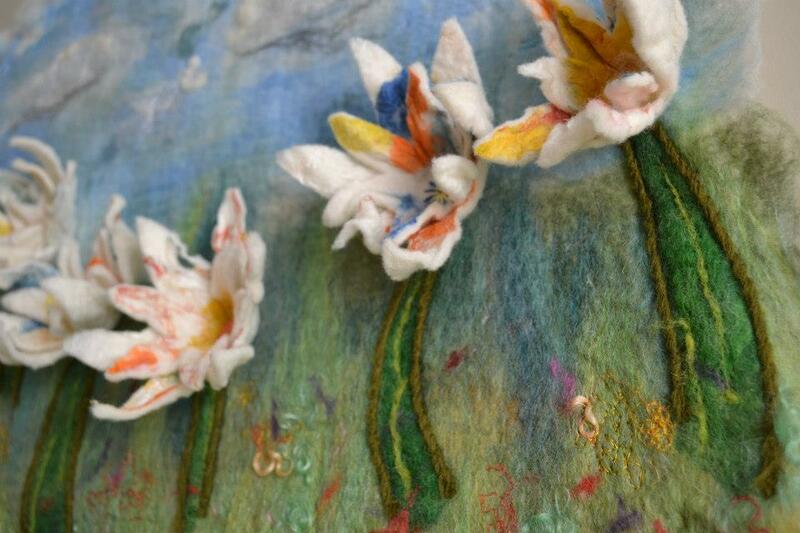 I am a feltmaker, predominantly a wet felter with a focus on 3 dimensional and low relief pieces. 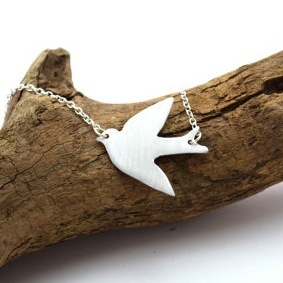 All the items I make (anything from brooches, to handbags, to wall art) are made by hand and from scratch. That is to say, I lay out all the fibres in their raw state and create something from that. 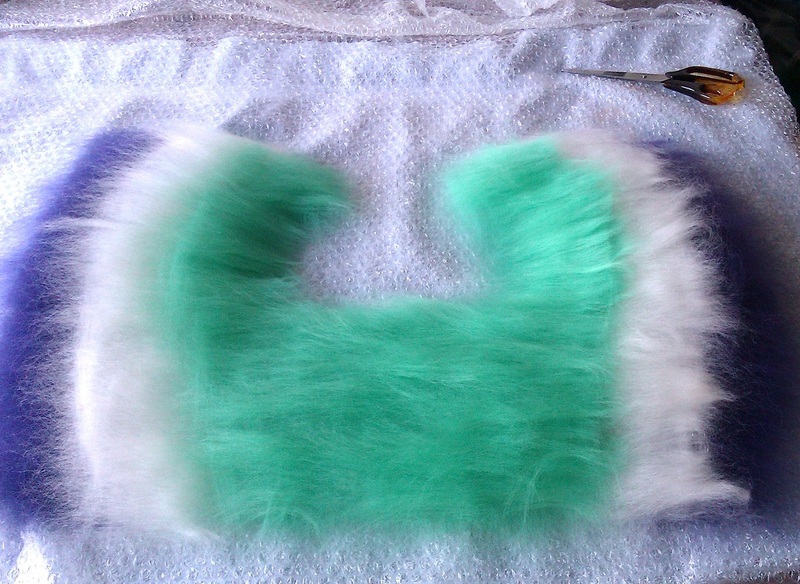 I may recycle and absorb bits of felt and fibre along the way, but it was all produced by myself in the first instance. There is usually a selection of slippers (from £25) in the shop, and some felt insoles. 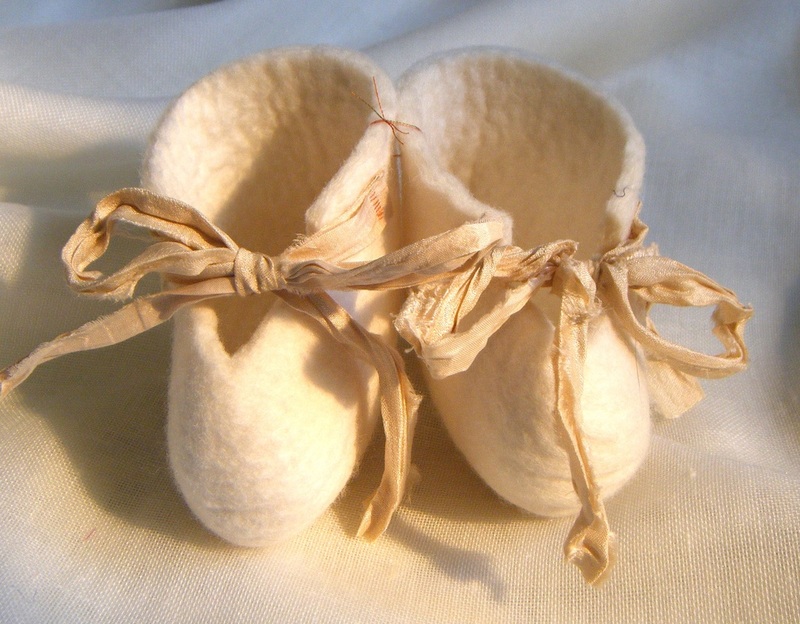 My baby bootees (from around £5) and the felt insoles (£7 a pair) sell quite well, the former make good gifts for expectant mothers, and the latter really do work at keeping the chill off one’s feet! There are larger pieces such as cushions & bags and I often produce one-off pieces, as well as contributing to the monthly exhibitions upstairs. I’ve been a member of the Arts Hub since last October after a friend of mine encouraged me to join. I love the fact that it’s a co-operative and very friendly and relaxed. The monthly, themed exhibitions are a welcome occurrence as they provide an outlet for fresh creativity and artistic expression. I know that I can exhibit pieces here which may not otherwise be seen. I also make use of the upstairs space by running feltmaking workshops creating flat felt, 3D felt and the popular cobweb scarves. How long have you been felting? I’ve been felting for around 3 years now and was turned onto it simply by attending a local night school course. 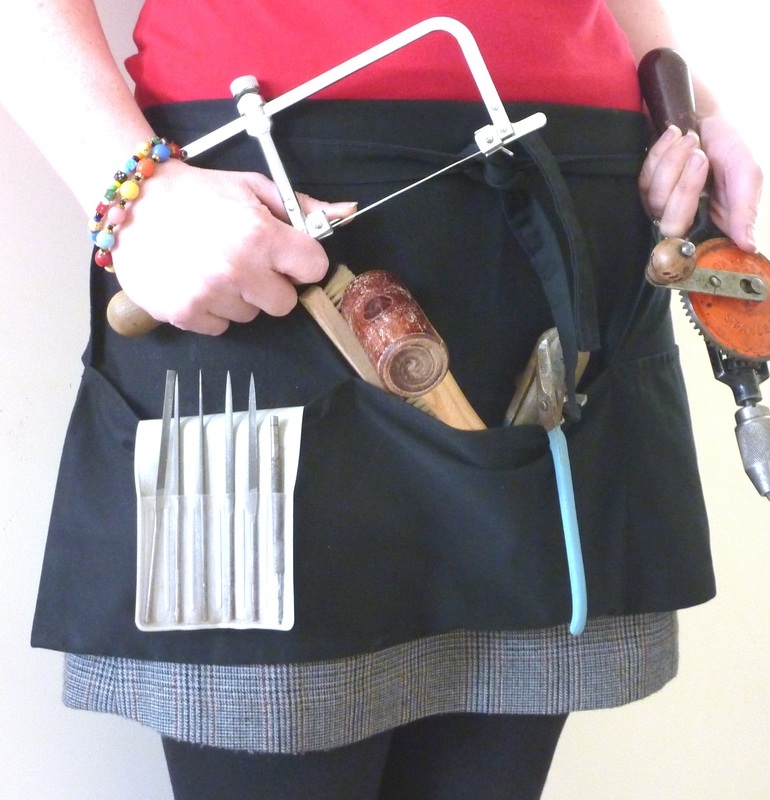 I was working full-time as a theatre set builder and doing craft fairs selling my felted goods at the weekend, but as Arts budgets were being cut, work became increasingly scarce. I decided to work for myself using the skills I had picked up whilst set building; upholstery, mural painting, DIY. More recently, I have concentrated on feltmaking and on providing workshops for people to experience the skill for themselves. I’ve always been fairly creative, doing Art & Design GCSE and then a BTEC in 3D Design and was lucky to find work as a set builder. I suppose I need an artistic outlet to express myself and I’ve come to learn that I prefer working with my hands, so being an artist/designer/crafter was just a natural progression. When I was tasked with producing some top hats, I relished the challenge. I got stuck into it and experimented, learnt from trial and error processes, really invested myself in the job. Upon finishing the hats, I was extremely proud of what I had achieved, particularly because I wasn’t certain that such an object was even able to be successfully realised in felt. I did it however, and they looked great. Working from home has its drawbacks; being interrupted by the cat for no good reason, or cold callers and the washing up or clothes pile glaring at you to be done. 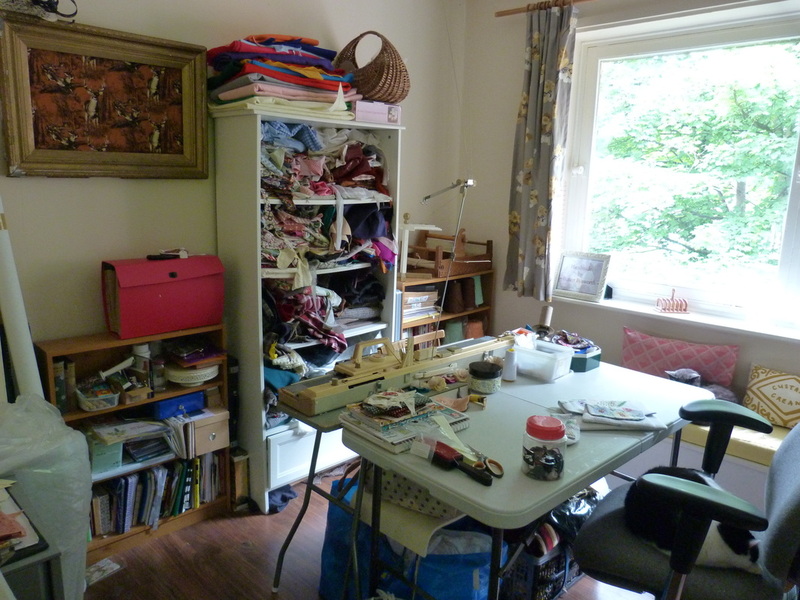 But it also has its advantages; a familiar, cosy space in which to create, being able to chuckle along with Mark & Stuart on 6Music in the afternoons, and partaking of as much tea and cake as I desire! There is no one artist or designer from whom I take inspiration. I admire a great many styles on a personal level of art appreciation but this doesn’t necessarily translate into my work. My main focuses tend to be on colour and brightness with an element of fun and theatricality. The various wool shows which take place around the country are good sources of inspiration, I find. They act as a showcase for felt and textile artists from around the world and remind one of what is achievable with wool. I particularly like Ruth’s mosaics; and I love the wide selection of chunky scarves and crocheted bags in the shop. I can knit, but I’m a bit of a novice, so when I see other peoples’ knitted and crocheted creations, I’m always full of admiration for their skill. Being in the Lake District surrounded by the fantastic scenery is when I am probably happiest. I simply love it up there, I feel a definite sense of belonging amongst the greys and greens and the sharp angles of the mountains. Obviously, it also helps that the whole county is bursting with cafes, of which I am a huge fan. If you can’t get tea and cake where you are going, it’s not worth going there! I am hoping to move house by the end of the year, to somewhere bigger where I’ll have more space in which to create. I’m also thinking of producing some items of clothing from felt in the coming months, probably with a fantasy-like twist. 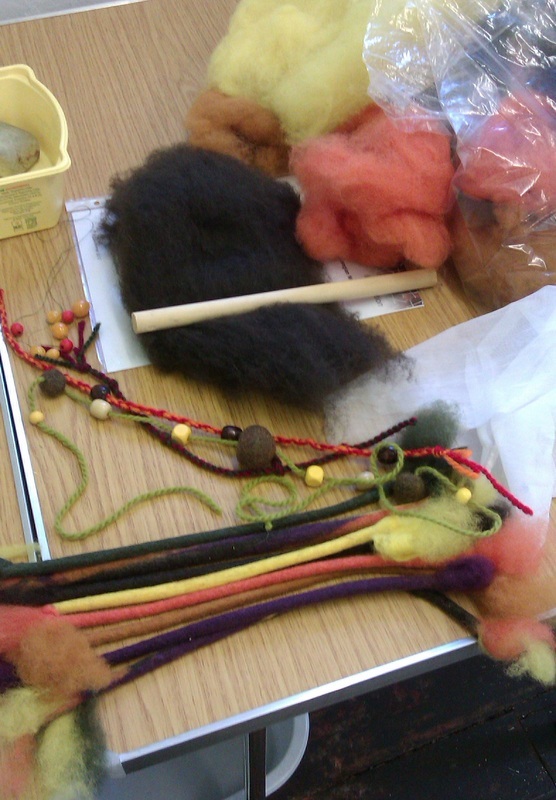 I will, of course, still be offering feltmaking workshops to anyone who would like to discover or practise the skill. I promised myself at the start of the year that I would learn to crochet, I have not yet done this. I have the yarn, the needles and a lovely pattern, so I must get started! Ideally, I would like to have a designated studio space where I could felt full-time and from which I could run workshops. I also have plans to take my skills to more local schools where I have been running sessions with parents. I want to encourage people to try something new and to express themselves creatively in their everyday lives. Self-expression is important and in increasingly tough economic times, so too is self-sufficiency. If you'd like to see more of Nic's feltwork then call into the shop - if you'd like to see exactly how she does it and have a go yourself then get booked in on one of her regular workshops at the Arts Hub. 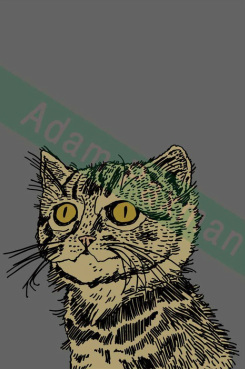 Illustrator Adam Paxman is one of our newest artists at the Arts Hub, and when he agreed to be interviewed as part of this series I was delighted, as I am really interested in his work. Adam is an talented illustrator, lecturer and prolific blogger, and he joined the co-op only last week. His bright and characterful digital prints of dogs and birds are sure to be popular in the shop and have attracted numerous admirers already. Hi Adam! Tell me a bit about your work. I work in different media, including traditional hand-pulled linocuts. I also write and illustrate short stories, as I'm interested in sequential art, experimental storytelling and comics. So, you signed up to the Arts Hub last week? Yes I did, I'm looking forward to becoming involved with the regular collaborative exhibitions. 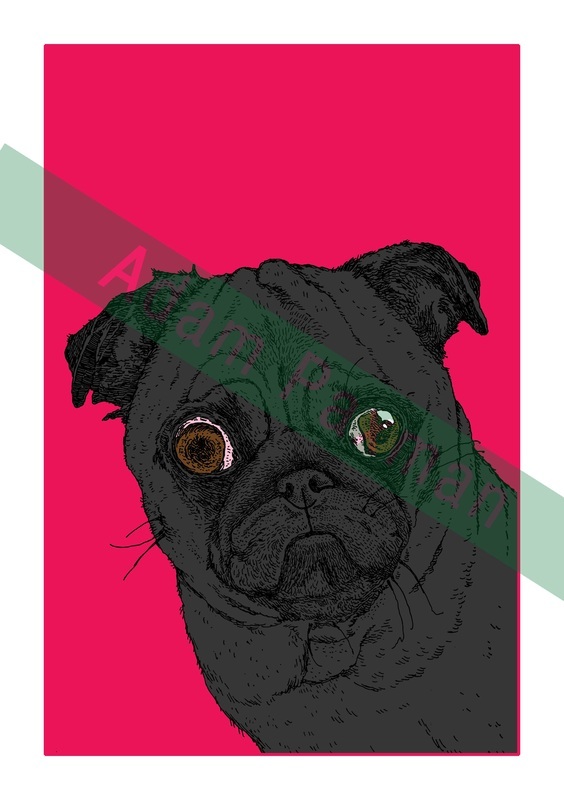 The prints I have available in the Arts Hub are illustrations that were hand-generated and then coloured digitally. 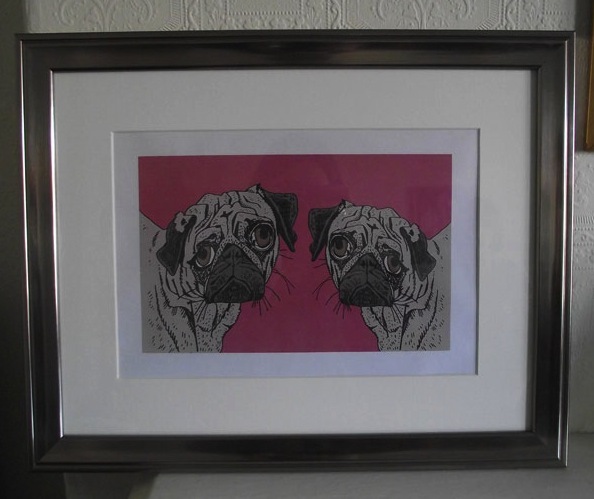 They're framed and sell for £20 each. The images in the Arts Hub are of different dog breeds and a waxwing (bird). The dogs have been my bestsellers, so I'll be adding more breeds soon. I have worked as a freelance illustrator in the past, although that has taken a back seat in recent years due to my teaching commitments. 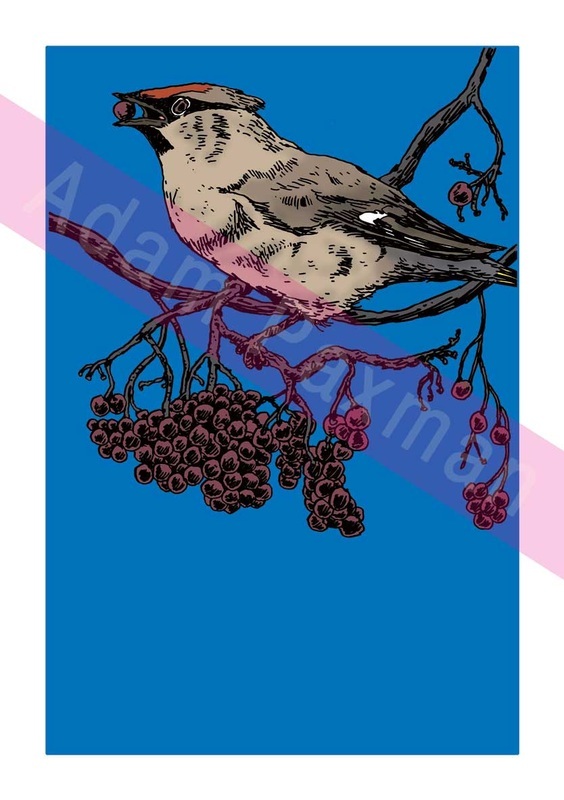 I now produce illustrations to sell online and through shops like the Arts Hub. I trained as an illustrator and have an MA in illustration for children, so developing children's books is something I'd be interested in doing at some point. And what's your proudest moment so far? My proudest moment as an illustrator was probably sneaking my Burning Zebra character into the first two textbooks I ever had published. That, or organising a collaborative exhibition for my MA on a budget of zero! Mostly I draw in my living room after work, either hunched over my desk, perched at my computer or sprawled out on the floor while my girlfriend watches her soaps (don't tell my mum - she worries about my back). I prefer silence when I'm working but occasionally I listen to Philip Glass or classical composers. I try to eliminate distractions but I drink an absurd amount of tea. I'm terrible at picking favourites! My biggest inspiration is probably Mike Mignola, the creator of Hellboy. Anything drawn by Mignola is beautiful, macabre and makes me giddy! What's your favourite thing for sale in the Arts Hub? My favourite items for sale in the Arts Hub are the inventive glass and ceramic pieces by Andrew Moran. I have a beautiful set of his coasters and look forward to expanding my collection. What do you get up to when you're not drawing then? I love going out for meals with my girlfriend and friends - we recently moved house and are sampling the various culinary delights that Lark Lane has to offer! Over the next six months I will be adding to my various blogs and creating new work to sell online. Hopefully I'll be extending the range of prints available in the Arts Hub, too. I've already ordered some greetings cards, featuring some of my recent graphic montages. And your plans for the next few years? In the longer term I'd like to develop some books, whether that's through online self-publishing or more conventional means. 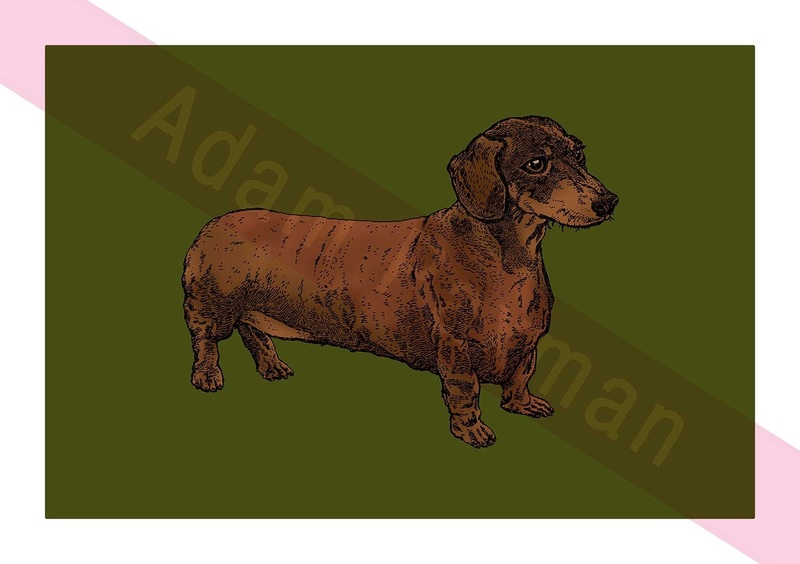 Adam's prints are available in the Arts Hub 47 shop now, for just £20 each (framed). They'd make a great gift for any proud pet owner. 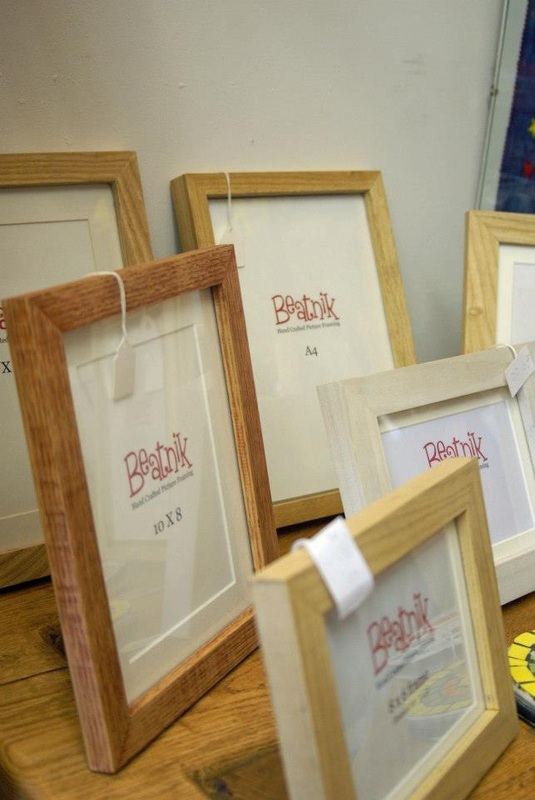 The next of our members I spoke to is Peter Hamilton of Beatnik Framing, who is based in Princes Park. 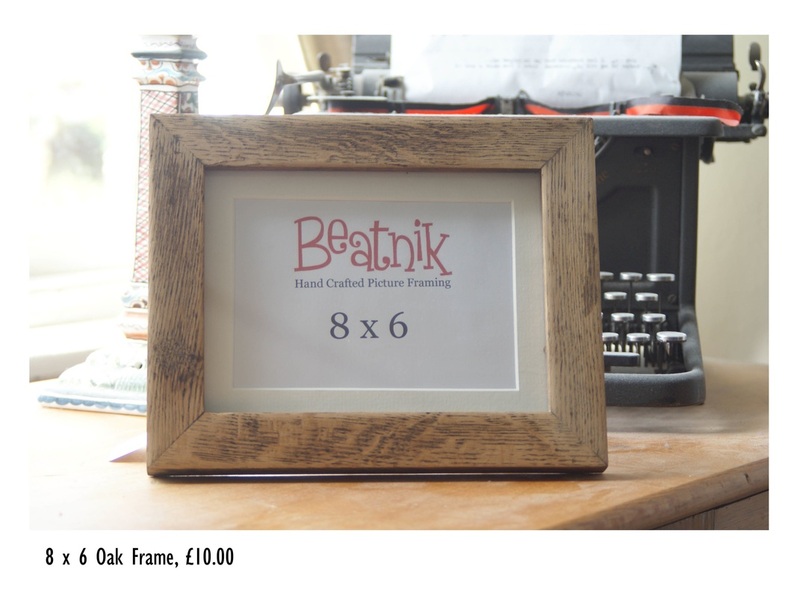 Peter's high quality, bespoke frames have been a welcome addition to the Liverpool Art and Craft scene over recent years. 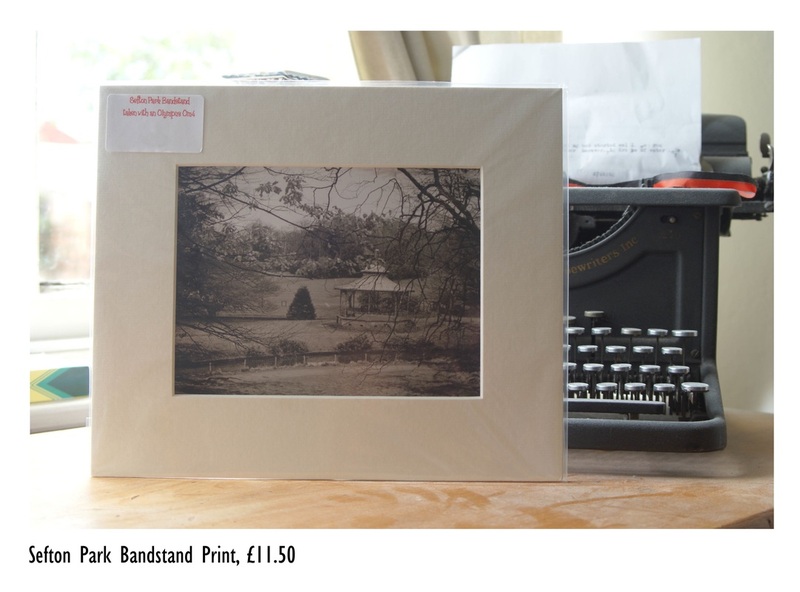 However Peter's not just a framer - he's a talented photographer too, using vintage cameras and traditional darkroom processes to capture numerous local scenes in stunning black and white compositions. 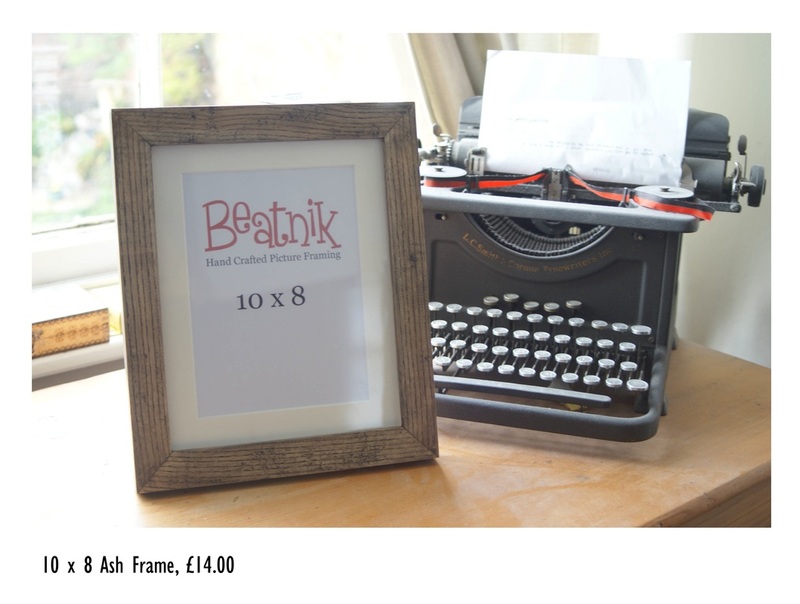 I am primarily a picture framer and all my frames are completely hand crafted using locally sourced woods. I love going to the wood yard and buying up all the scrappy offcuts knowing the potential they have to be turned into something beautiful and finished. I sell at local craft fairs as well as Arts Hub 47 and have done framing for local artists and photographers as well as local companies, such as Leaf Tea Shop (I framed all the lovely prints they have in their upstairs space). I also do a bit of photography when I have the time! I started picture framing around four years ago as a side project – I had started doing some pop art collages and wanted some box frames so I could make 3D versions of them. All the frames I looked at in the shops seemed expensive and not really what I was looking for so I started experimenting making my own and before I knew it framing had turned into my main passion! It was a lot harder than I thought it would be and it took over a year and a lot of learning before I had made anything I felt happy enough to sell but eventually it led to me taking the plunge into self employment. Its been quite an exciting process! I think I have always been involved in something creative – growing up my sisters and I were quite imaginative and always making our own newspapers or constructing dens in the garden. At school my art teacher suggested I consider doing GNVQ art and design and as soon as she said it I was fixated on doing just that. It was a brilliant two year course and I got to try a bit of everything – life drawing, print making, photography, sculpture. I went on to do fine art at university after this and I think I definitely need a creative outlet in my life! I felt very proud at the first craft event I was accepted for. I had been going to local craft fairs for quite a while and always felt in awe at the standard of work at them. 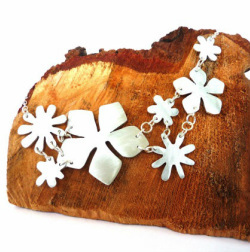 I was quite apprehensive applying for my first craft fair and I was made up to be selected. I think we have some amazing art and craft in Liverpool and I still feel very honoured to have my work out their alongside them! I have a workshop in my garden which is a converted garage. This is where I prepare all my wood and assemble the frames. It gets pretty noisy in there when I have my machinery on so I'm not often able to listen to the radio! 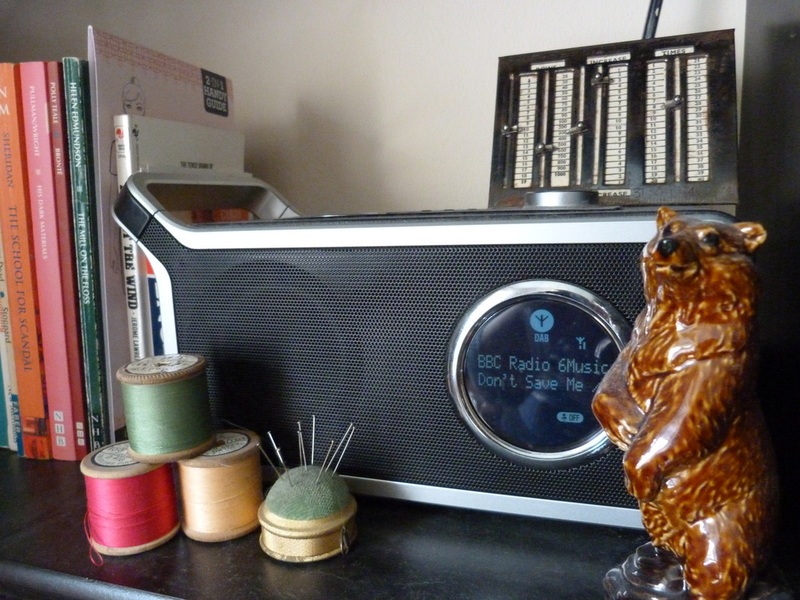 If I'm doing something quieter like sanding or staining though my radio is set to BBC 6music, I love that you can hear something quirky you've never heard before on it mixed with some old classics (sign of age, I have no idea what's in the charts these days!). I also have a space in my house for mounting artwork and cutting glass, its quite important to have somewhere clean too. I try to work 9-5 but sometimes I find myself working into the evening, I find it hard to stop sometimes if I'm half way through something! I love Parisian photographers from the 1930's like Brassai, Robert Doisneau and Willy Ronis. For me this is the golden age of photography, I'm a bit of a romantic about old cameras, using film and the smell of chemicals in the darkroom. I also love the artist Andy Goldsworthy, his work hits a spot where art and craft join that I think is really interesting. He uses very traditional processes, for example dry stone wall making, to creating really abstract and poetic pieces that fill the landscape. I saw his work in Yorkshire Sculpture Park last year and can't wait to go again. There's so much excellent work in the Hub but my favourite piece is "To Blake", a ceramics work by Vicky Crossley. I love the muted tones in it and the strong use of line. It's also beautifully framed! Hopefully running a successful business and having a studio space in the centre of Liverpool. It's important to me to be working with more local artists and designers, maybe even employing an assistant. I would love to buy my own house and fill it with local art too! Peter has a range of ready made frames in the Hub priced between £10-20 and also mounted prints of his photography for £11.50 each. 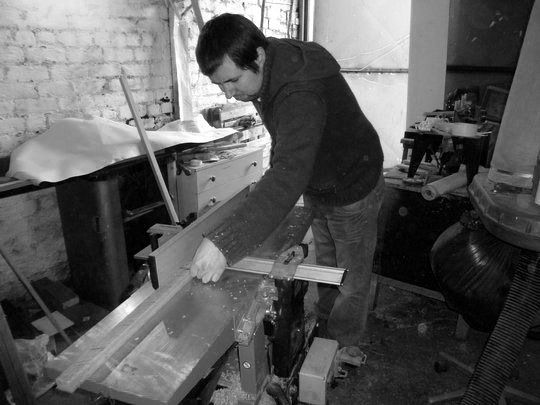 He also volunteers one day a week in the shop, and is a member of the Arts Hub committee.